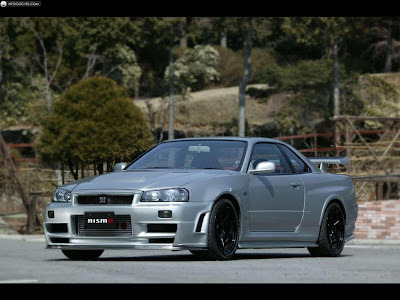 R34 is the reference that is used to refer to the 1999-2002 Nissan Skyline GT-R. The R34 GT-R was the third generation of the RB26DETT powered modern Nissan Skyline GT-R. In 1989 Nissan brought out the R32 Nissan Skyline GT-R that introduced the RB26, and their advanced all wheel drive system called ATTESA. The R33 Nissan Skyline GT-R used the same engine and transmission as the R32, but the chassis was changed, stiffened, and the ATTESA system was improved. 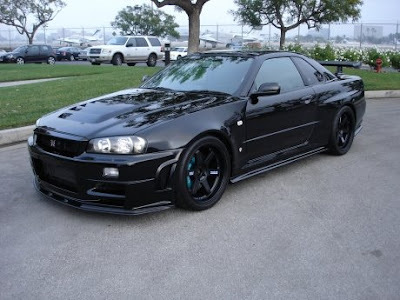 For the R34 the engine was still the RB26, but the transmission was swapped for a six speed from Getrag, the V160. 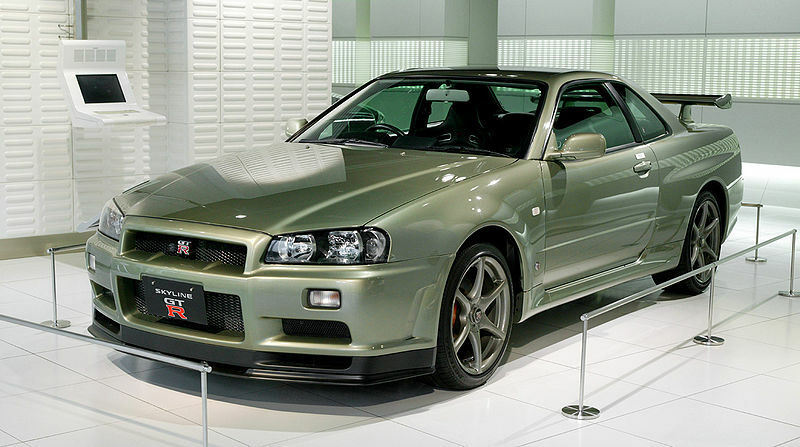 There were 11577 R34 Nissan Skyline GT-R produced 1999-2002. There has been some wrong information floating around for years from GT-R Magazine. Same information we used. However the 12,175 number was wrong. GT-R Registry to the rescue with some real numbers pulled from multiple sources. There were several different versions of the R34 Skyline GTR. From the early edition first produced in 1999, to the Z-Tune from Nismo in 2005, there were 10 different versions. There were 750 Vspec II Nur's produced, and 250 Mspec Nurs produced right at the end of the production run in 2002. The campaign color of the R34 Skyline GT-R was the popular TV2 - Bayside Blue. Its named Bayside, for the popular roads near the bayside of Tokyo. Why is the color called Midnight purple? Check the link out for the most likely answer. Do you know how many MNP III's were built? I do not know, but I will see if I can find out. There's a few details missing from the Nismo side; before the Z-tune, there were the R-Tune and S-Tune models. The R-Tune (judging by the "R" of course) was a more race-oriented model, while the S-Tune was the more street-oriented model.